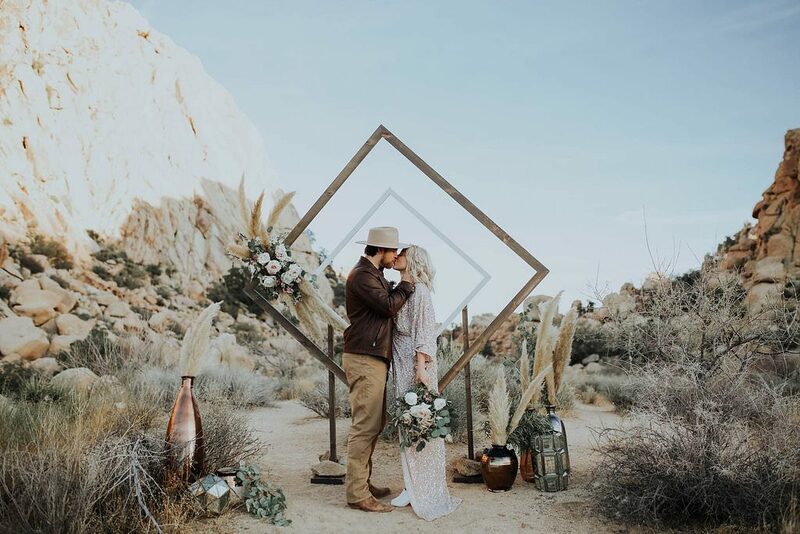 One of our favorite types of photo shoots to share on PSWH are stylized shoots! The reason? 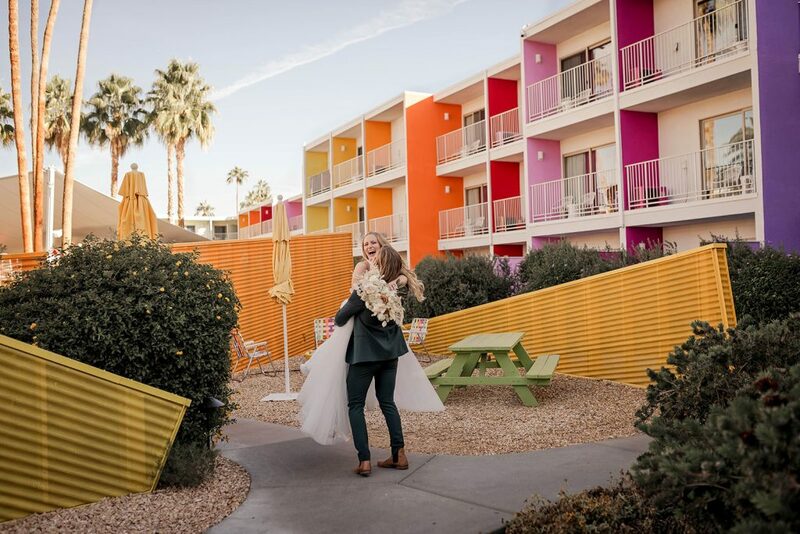 Because stylized shoots are a great way for Palm Springs wedding creatives to work together, experiment with different colors and basically develop something really unique. 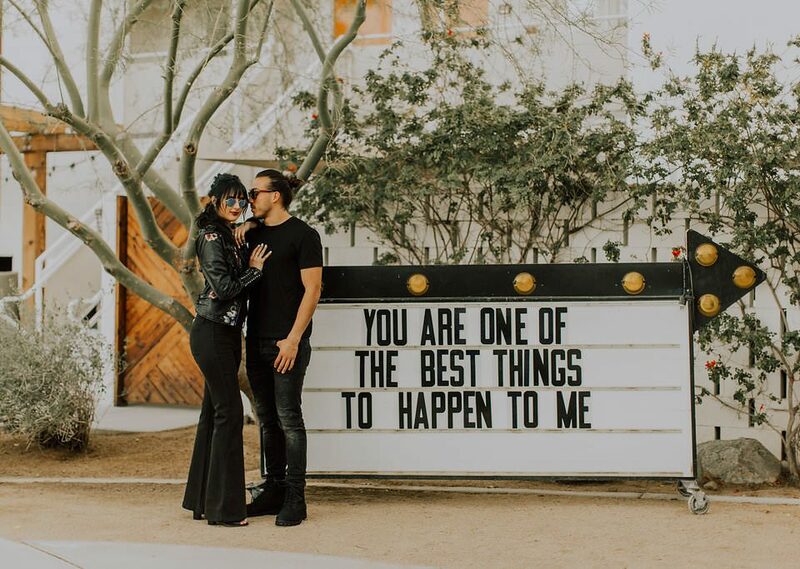 Something that can really inspire a soon-to-be bride getting married in Palm Springs or Joshua Tree to be a little bold. Be authentic. Be who they are when creating a wedding that truly embodies their style. 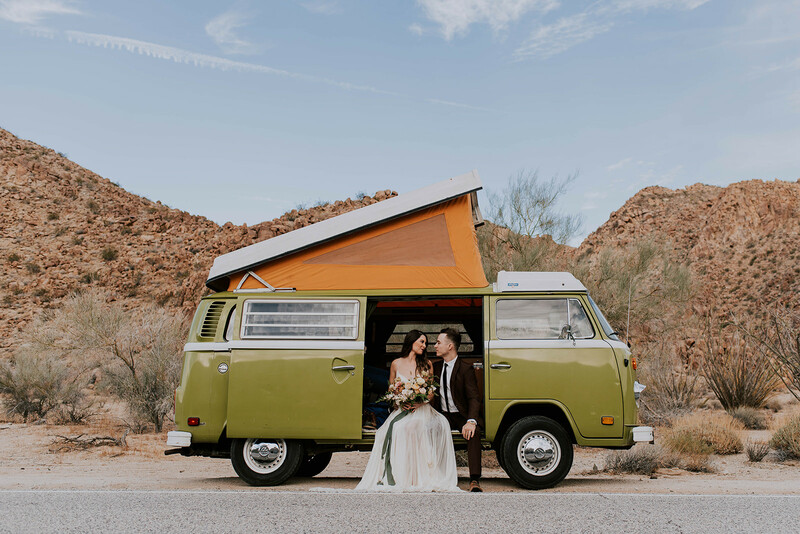 That is why we were excited when Freckled Fox Photography came out to the desert to collaborate with some talented friends for a really epic stylized shoot that featured this amazing retro 1960s VW bus. 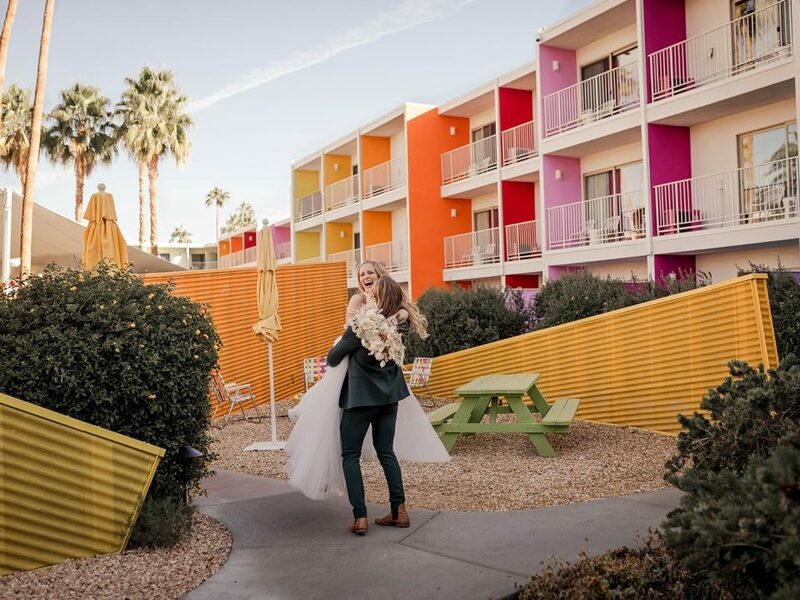 The colors, the dress and everything about this photo shoot was stellar! 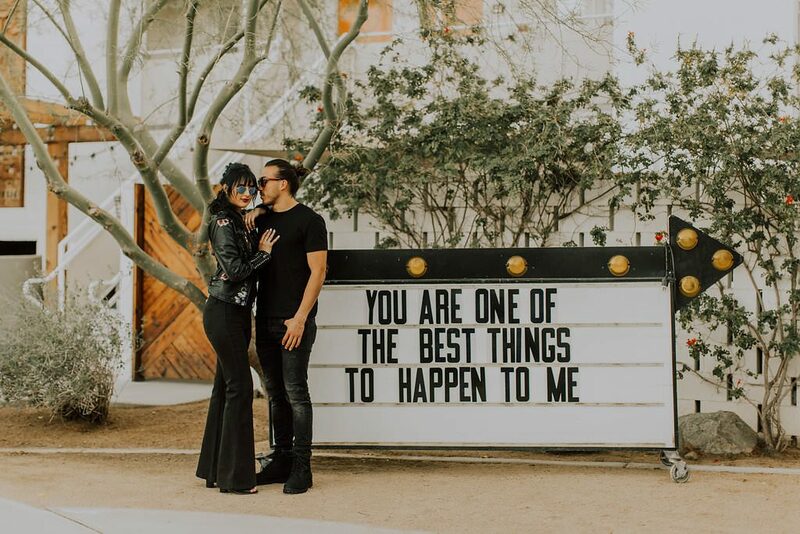 But we will take a step back and let April of Freckled Fox Photography tell you more about the photo shoot, Palm Springs and her approach to photography! Was This Your Photo Shoot In Palm Springs? Even before coming to Palm Springs, I knew the city was my spirit animal. This was my first time visiting Palm Springs, and I fell in love with the desert city. The architecture, the mood, and the people were all just stunning. Not to mention, the simple and raw beauty of the desert. It also felt amazing to visit a place that I had been admiring on the internet forever! In the middle of shooting Rachel and Andrew, an olive green VW bus drove past and we flagged him down. It was just dumb luck, and we were literally jumping up and down with excitement at our perfect timing. We were also lucky the driver was cool enough to spend a little time with us so we could capture some really terrific photos with the VW bus! 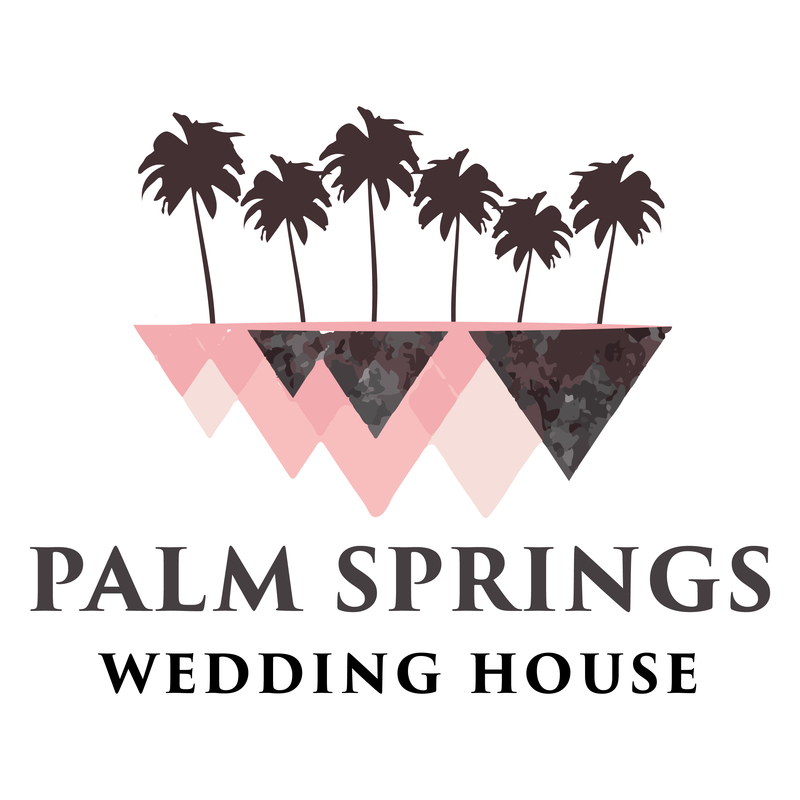 Here is a quick shout out to some really awesome Palm Springs wedding vendors who helped make the desert stylized shoot come together so perfectly! 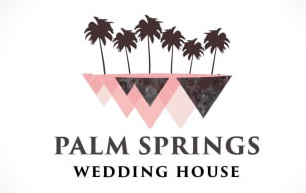 I would highly encourage anyone who is planning a wedding in Palm Springs to check out the work of this amazing crew! I’m from Arkansas. I love being a mom, meeting new people and singing loudly (off key ha!). My job as a photographer for Freckled Fox Photography is my passion and what fuels my creative soul. Community is my heart, and being a part of the most important day of someone’s life feels a lot like becoming family. My job is about connecting with people and having them become more than just clients, but lifelong friends. Telling stories has always been my favorite, but words tend to get lost or forgotten so I tell them the best way I know how- through my photos. I’m about capturing the genuine, quirky, sarcastic, teasing, loving, soft, fun and unique love that you have. It’s my goal this year to shoot more elopements all over and add some stamps to my passport! Still looking for more wedding inspiration? 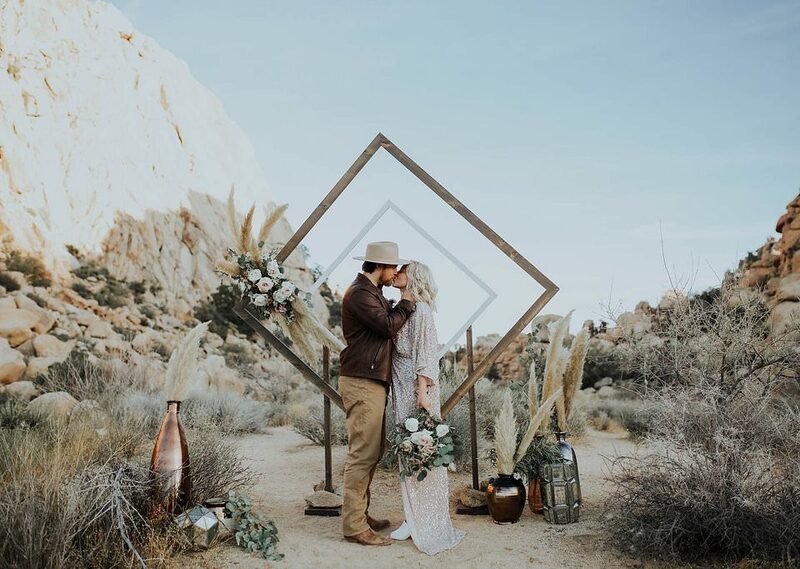 Well check out this boho stylized shoot in Joshua Tree captured by Meaghan Brianne Photography!